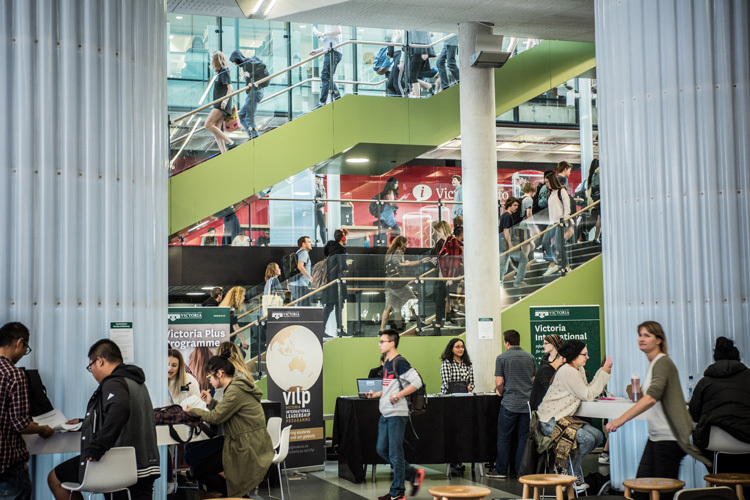 Victoria University is celebrating the ten-year anniversary of the Victoria International Leadership Programme (VILP) and the Victoria Plus Programme—both designed to recognise our student leaders and their contribution to our local and global community. This week, we’ll introduce you to two students who are completing these leadership programmes and who tell us about what they’ve gained from their experience, what leadership means to them and what the future holds. When I first arrived at Victoria University in 2015, I found myself asking a big question—how could I grow as a person while studying? This question was readily answered by VILP. As a self-paced, extra-curricular programme based around raising students’ awareness of global issues through interactive seminars, public speaker events and exciting experiential activities, this programme appealed to my interests and passions, and became a large part of my time at Victoria University. By attending seminars and speaking events organised by VILP, I have become part of global conversations—from attending a seminar on leadership in Latin America, to hearing about conflict in the Middle East through the eyes of an Israeli journalist, I’ve had the opportunity to hear different opinions and perspectives, and expand my world view. I saw first-hand how leadership and diplomacy can work together when in 2016, I heard Iran’s Minister of Foreign Affairs, Dr Javad Zarif, speak about Iran’s role in the Middle East, and the world, at a pivotal time, following the historic Iran nuclear deal in 2015. Through VILP volunteer opportunities, I’ve spent time with students visiting from China and Japan. Not only did I gain more knowledge about these countries, I got a better insight into their lives, studies and thoughts on our world, and the combination of hands-on experiential activities and speaking events has made for an invaluable learning opportunity during my time at Victoria University. As an arts student, it can be difficult to see my career path after graduation. In reality, I can do anything, be anyone, or go anywhere. Through completing VILP, I have been able to envision and pin-point what my future might look like. Does this mean that I want to lead the country? Maybe not. But, I have learnt that I can be a leader in even the smallest of ways. Nashie Shamoon is a fourth-year arts student, majoring in International Relations, Political Science and French, and minoring in History. Read part two of our leadership programmes piece to learn about Rachael Nunn’s experience with VILP and the Victoria Plus Programme. Find out more information about VILP and how to get involved on our website.